EV: When it was time for me to decide what to do, I decided I wanted to be a composer. But my father said, “Are you crazy? Do you want another artist in the family?” My father was referring to his older brother, the painter Victor Viklický. The Communists came into power in the country in ’48, and Victor was put in labour camp in southern Slovakia. So he was just gone. My father said “Look, you have a talent for mathematics, so why don’t you go for maths and have music as a hobby?” I was an obedient boy, so I agreed. 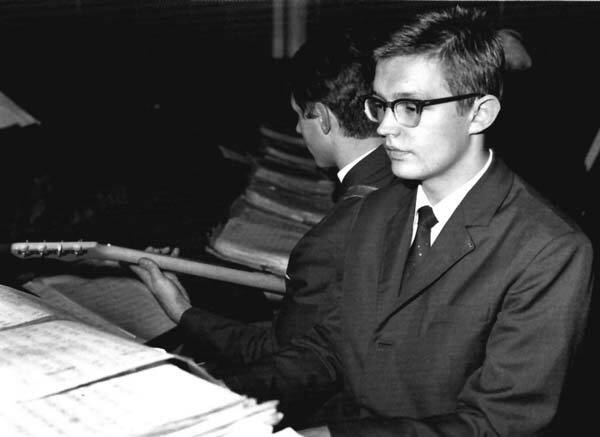 I finished my five years of studies and graduated as a mathematician in 1971. My diploma work was on symmetrical polynomials. I was recommended for a doctoral degree, so I went to see the Dean of the faculty. 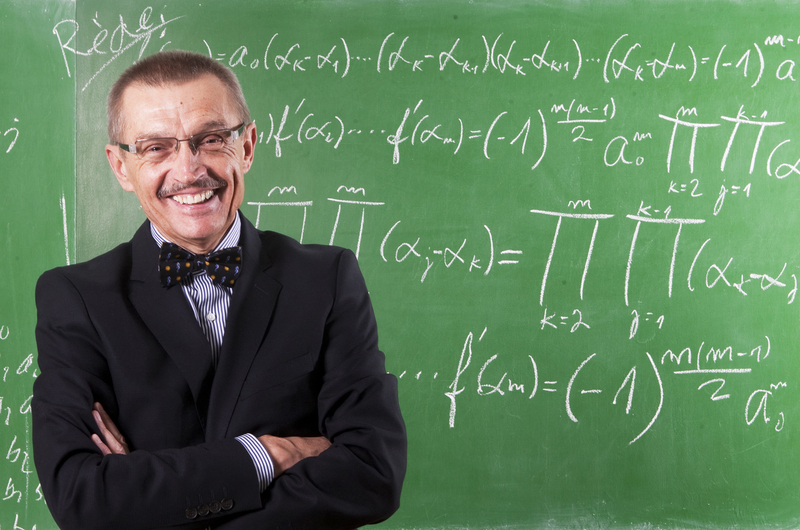 He said, “If you want to get your doctoral degree in mathematics, you will have to study Communism.” I looked away, I didn’t say a word, took my papers and left. I didn’t enter that building for another 40 years. When my old professor asked me why I hadn’t taken a job I was offered in mathematical analysis, I said, “Because I will go to Prague.” He said, are you going to work with professor XY? He was referring to a well-known Prague mathematician. 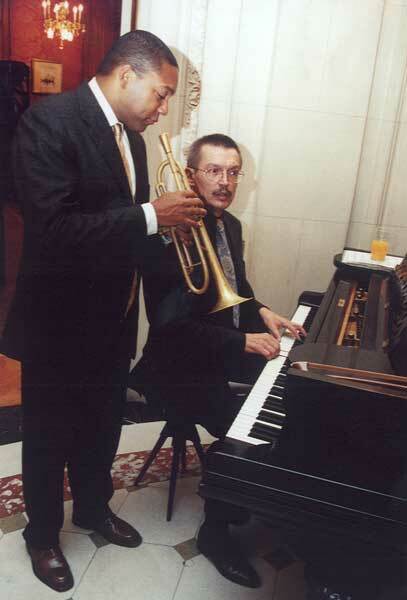 I said, “No, I’m going to play jazz with Luděk Hulan.” And actually, to tell you the truth, I’m happy I didn’t take it. It was definitely a more colorful life, more fun, you know. AM: In 1977 you got a scholarship to study at the Berklee College of Music in Boston. What was that experience like? When I went to the States I had to make my living, so I started to play with all kinds of groups. You meet a lot of people at the faculty – that’s how I met Bill Frisell and Steve Houben. I met a bass player – Santi Debriano – and he had a gig at Cape Cod. We usually played Thursday, Friday and Saturday and it was well-paid – $40 a night. There was Greg Hopkins playing the trumpet, Jerry Bergonzi, and there was a very good drummer who was the head of the drum department at Berklee – Joe Hunt. He used to play with Bill Evans. So that was a fantastic experience. At Berklee I studied with Herb Pomeroy. 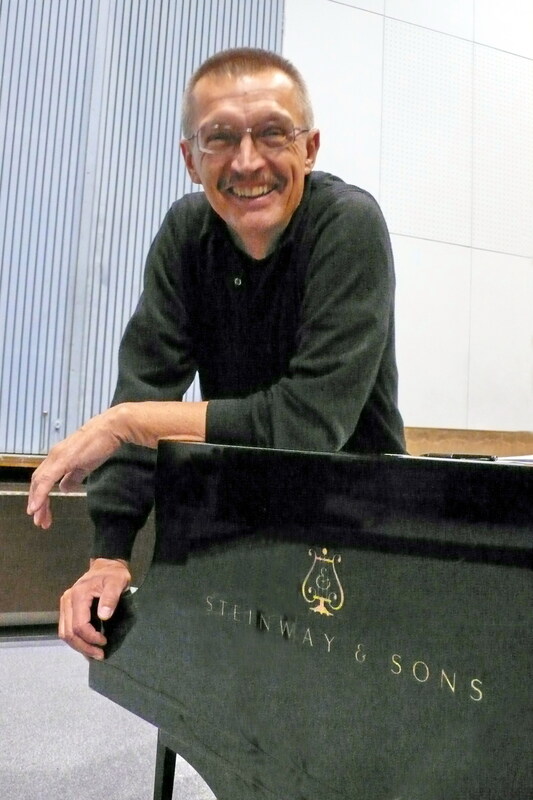 He was the guy who was responsible for my big band charts because he taught us how to write big band charts from scratch. AM: Was it hard to go back to Prague after that? EV: It was very difficult, because I lived in New York for a few months and I was even offered a job. If I had decided to stay, there would have been no way to return after. Now we know that Communism finally collapsed in ’89, but at the time I couldn’t know. AM: So you would have been defecting if you had stayed? EV: Yes, I was toying with the idea. In April and May 1978 I was nearly convinced that I was going to stay. And then I realized how difficult the life of a jazz musician is in New York. I lived on Reade Street in an old mirror shop, close to the World Trade Centre. 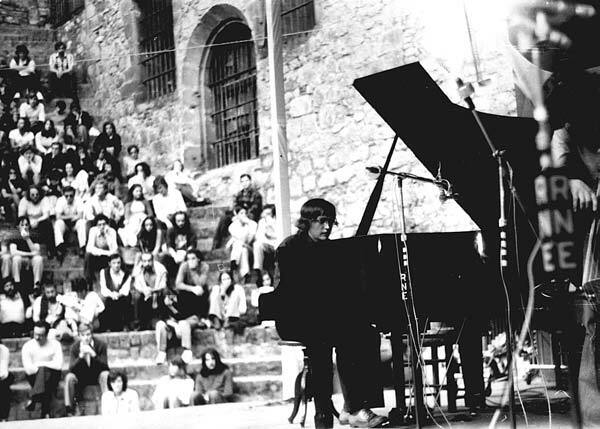 AM: Was jazz accepted in Czechoslovakia during the Communist period? EV: You have to realize that what the Communists were afraid to be compared to Fascists. So the Communists didn’t completely ban jazz. Also, jazz is typically considered the music of the minority. When it was only 20 people sitting in a jazz club, they didn’t care. But in 1975 when suddenly 3,000 people showed up at Prague Jazz Days, they started to be concerned. AM: You have a wide range of compositional styles. How are you able to compose in so many different styles and for so many different combinations of instruments? EV: To tell you the truth, my way thinking about music is the same if I’m writing opera or if I’m writing film music or if I’m writing jazz tunes. I’m always trying to find the drama, the emotion – the adventure. So I don’t think it’s that different. AM: But what about the different musical languages you use? AM: I saw an amazing clip of you and two other Czech musicians playing with Dizzy Gillespie in the early ’90s. What was that experience like? 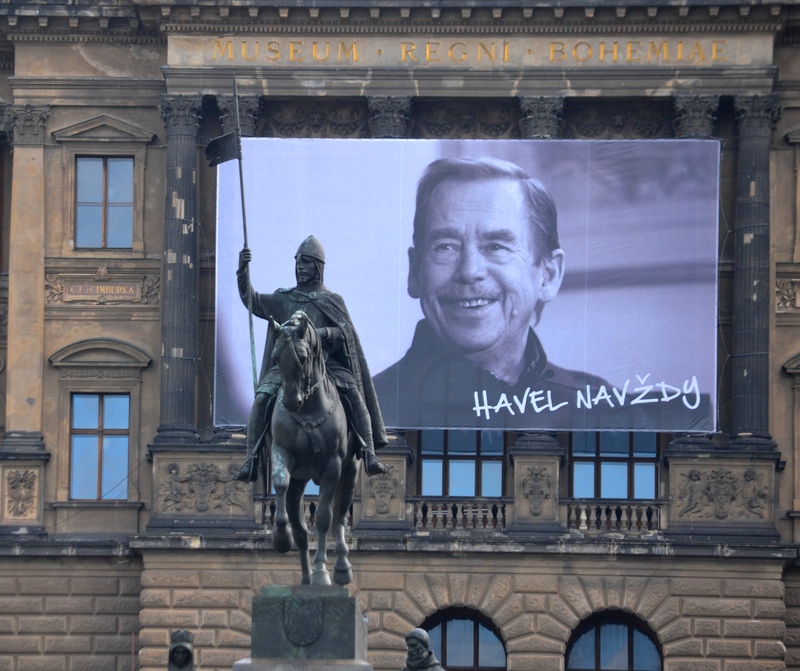 EV: Václav Havel was the president and Shirley Temple was the American Ambassador. Havel called me and said, “I hate professional announcers. Would you be so kind and be the master of ceremonies?” I said, “Mr. President, of course I can do it, but I have no experience.” So I went into the hall, and I said, “Please welcome the American Ambassador, please welcome Mr. Havel. And now here is Dizzy Gillespie and the band.” Nothing happened, because they were still in dressing rooms. So I said to the audience, “As you know I play piano but I have no experience as a master of ceremonies.” People started laughing, so I went backstage and then they finally went to the stage. 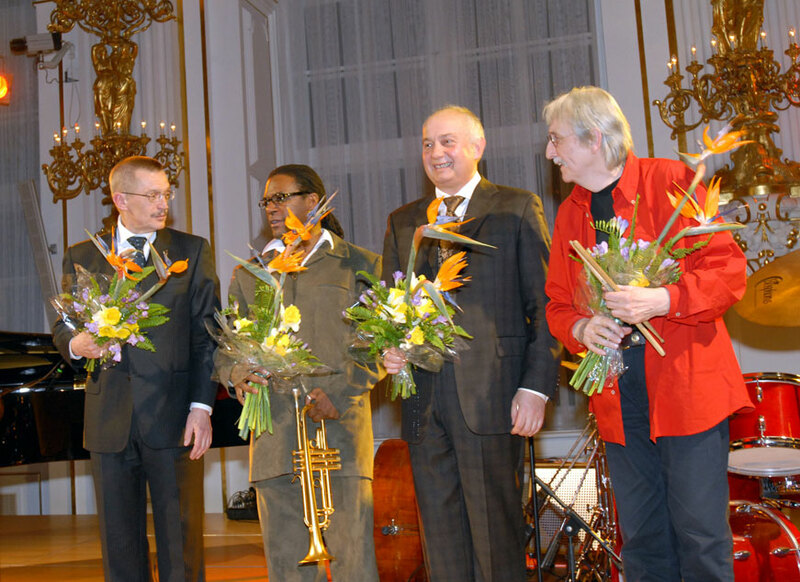 At the end of the show, Dizzy invited three Czech jazz musicians to play with him, so we played three songs with the band. AM: The Mystery of Man was based on letters Václav Havel wrote while in prison, and you worked with him when putting the piece together. What was it like collaborating with him? I really liked the idea because a half a year before, I had finished my second opera, Der Ackermann und der Tod, which means The Plowman and Death. In that old text from 1401, the Plowman is a young guy, and Death is taking his wife. The Plowman says to Death, “What am I going to do? I have three kids.” And he is very atonal, very rhythmically strange. And Death is a mezzo-soprano. She is very melodic, in contrast to this atonal, dodecaphonic Plowman. A composer can work with this contrast to create drama. AM: Some of your original compositions incorporate Moravian melodies. Tell me about that. EV: I’ve been doing my own type of jazz. I mean, I can play the American standards – I’ve been trained for many, many years. I’m trying to find my own language, and since I am from Moravia, it’s obvious for me to know these folksongs. I grew up on them. Of course, nowadays they are difficult to find. Still, in little villages, people still use folksongs for weddings and funerals and social gatherings. So I’m trying to incorporate these Moravian themes. It’s my calling card. AM: What makes Moravian music distinctive? EV: Moravians drink wine, Czechs drink beer. I know it’s a horrible simplification, but if you don’t have any knowledge of the country, it explains it. And what is even more important is a certain folkloric border, which is what musicologists talk about. Like the border between beer and wine, there’s a folkloric border. Czech folkore has certain type of melodies which are closer to Bavarian. And then you have Moravian folklore, which is different. It goes back to these old modes of the sixteenth, seventheenth century. That’s what really interested me. Leoš Janáček, the Czech/Moravian composer, was also collecting these folk songs. AM: You received a Medal of Merit in 2011. Tell me about that experience and what it means to you. EV: It was a great honor and experience. I’m very grateful for it because I felt that this prize not only went to me, but that it went to the whole Czech jazz society. Jazz is not as big as football or ice hockey. So, I took it seriously and I’m still taking it seriously. AM: What will you be performing at the Ottawa Jazz Festival? EV: I will play with my trio “Grand Moravia” with Petr Dvorský playing bass and Cyril_Zeleňák on drums. The material will be mostly from Moravian folklore and some of my own works. And I also will be playing an aria called “Thank you, Laca” from a Janáček opera called Jenůfa. I hope Janáček will not be cross with me! 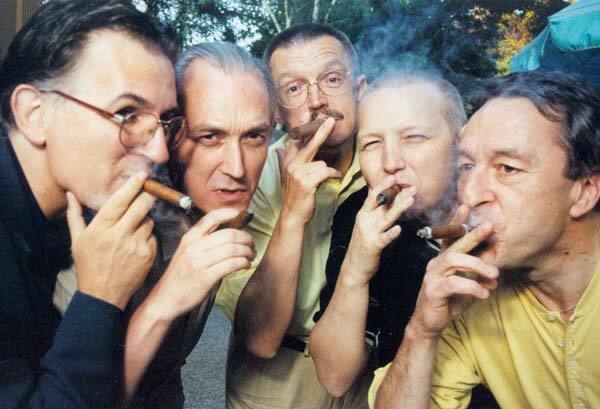 Emil Viklicky’s Grand Moravia Trio performs at the Ottawa Jazz Festival (June 23), Edmonton International Jazz Festival (June 24), Chicago’s Oak Park Art Center (June 26) and Atlanta’s Kopleff Recital Hall (June 28). For more information about Emil Viklicky and his music, please visit www.viklicky.com. 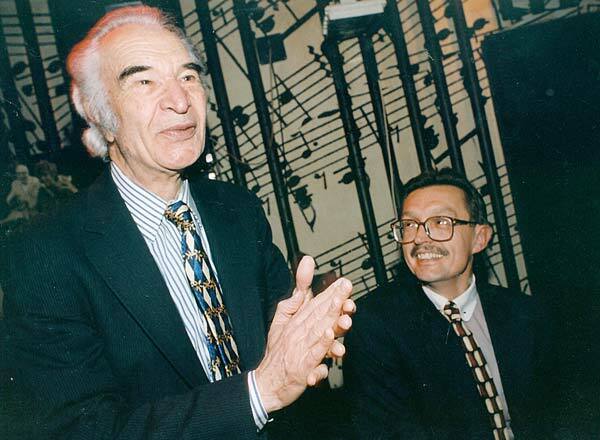 This entry was posted in MUSIC and tagged Ackermann und Tod, Berklee, Bill Brubeck, Cyril Zelenak, Czech composer, Czech jazz, Czech jazz pianist, Czech opera, Dizzy Gillespie Prague, Emil Viklicky, entrevista, Herb Pomeroy, Interview with Emil Viklicky, Janacek, Jerry Bergonzi, Ludek Hulan, Medal of Merit, Moravian jazz, Moravian music, Mystery of Man, NAC, National Arts Centre, Olomouc music, Ottawa Jazz Festival, Petr Dvorsky, Prague jazz, Santi Debriano, Steve Houben, Vaclav Havel, Wynton Marsalis. Bookmark the permalink.